The province declared a public health emergency three years ago as the number of overdose deaths was on a terrifying rise. On Sunday, the City of Vancouver marked the solemn anniversary. The Canadian flag at City Hall was flying at half-mast in recognition of the 3,600 lives lost to the crisis since 2016. Staff said the flag will be partially lowered every year on April 14 until the emergency is over. The city is also pledging increased action including expanded treatment services and harm reduction. However, city officials say that providing a safe supply is the biggest priority. "Unless we can, and until we can, address these illicit and poisonous drugs at the source and provide people with a regulated safe supply, it's going to be very tough for us to see an end to this," said Mary-Clare Zack, the city's managing director of social policy. Vancouver staffers are also working to expand community initiatives and are urging users never to use drugs alone. Meanwhile, a recent study says B.C. 's response to the opioid crisis could be a useful model for other jurisdictions hoping to save lives. 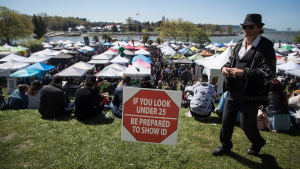 The findings came from the Canadian Institute for Substance Use Research. The report argues that the decision by the B.C. government to declare a public health emergency in 2016 enabled the province to open several new overdose prevention sites. It contrasted B.C. 's approach with the lengthier application process to get a supervised consumption site approved by Health Canada. In Ontario, the provincial government announced last month that 15 sites had received approval, but six others would be closing. 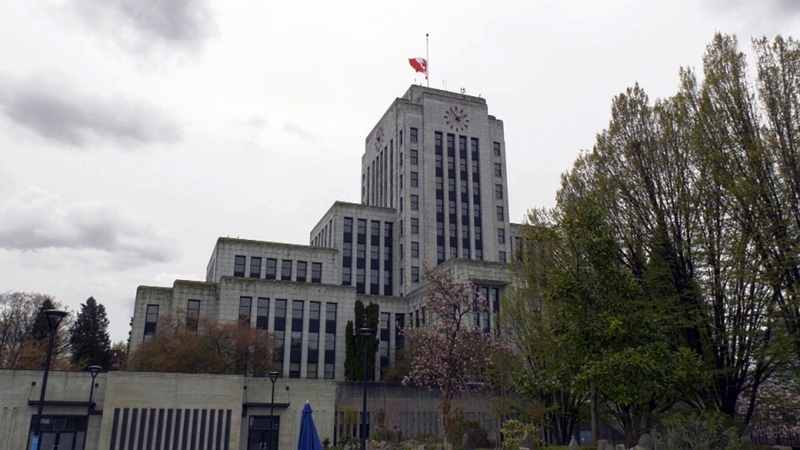 A flag at Vancouver City Hall was lowered to half-mast on Sunday, marking the anniversary of a public health emergency in B.C.